Triiingg ! Ah the long bell! Walking out of my classroom after an enthusiastic but as yet incomplete discussion on the Origin of Life with 45 fourteen year olds, I thought, “Let me put away IX F's books in my locker, can't lug it around Chandni Chowk. Wonder if Sujata is still in the Science Block, hope she's not forgotten...”. Stepping out of the staff room I bumped into Sujata, my Art Teacher colleague in the corridor and together we strode out into a cool crisp sunny December afternoon in Delhi towards the school bus parking lot. We boarded the school bus going to North Delhi. This was the early and mid-80s – an innocent, more easy-paced era, before the internet and personal computers and mobile phones or even faxes ! 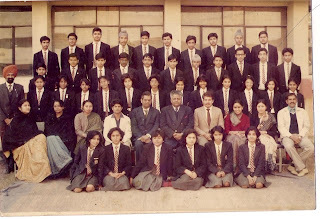 We were a pair of young foot loose and fancy free teachers, wholeheartedly immersed in our teaching responsibilities at school – that included editing the school magazine, directing school plays, taking students out on Nature trails in the scorching summer in the Delhi Ridge behind the school. But after 2pm we managed to pack in an equally interesting life. So this December day we were headed out to Old Delhi – to Chandni Chowk, Jama Masjid and lunch at the famed Karim's. We wanted to scour the alleys of the Old City to look for amazing bargains amongst the so-called antiques that are commonly sold on the streets. Karim's wasn't any thing posh – it was tucked in an overcrowded alley on the first floor of a dilapidated looking building. I was then far less finicky about hygiene and ambience and the food was its redeeming feature - authentic Mughlai khana. We walked tirelessly, bargained unabashedly and returned home, before it got too dark and cold, proudly carrying treasures to give away as gifts or display at home. I still have an engraved copper tumbler and bowl and a brass owl from that day over twenty years ago, prominently placed in my living room today. Our respective parents, were very tolerant of our new-found independence and light-hearted indulgences. Our afternoons after work were our time to chill out, let our hair down, visit art galleries, go to the latest matinee shows or have extended lunch and coffee sessions at Nirula's, when we discussed school, hobbies and the world at large. Often we'd drop in at the Janpath office of Neelu, a close school mate of mine to chat up with her and brighten what we considered, her grey government office life, with our anecdotes from the classroom. We would often joke with her that the only bright element in her office was the red fire extinguisher! 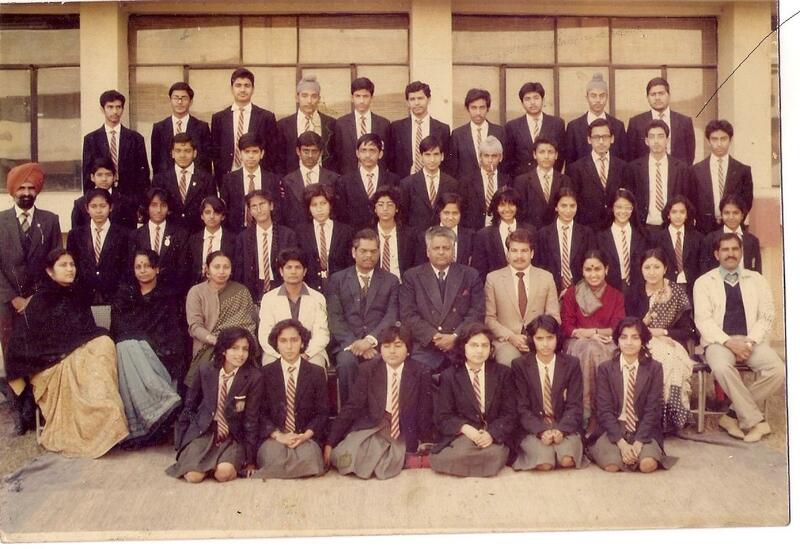 I always returned from these sojourns enriched by memories, photographs and tales to tell my students. I even earned the sobriquet of having wheels on my heels! My parallel life after a busy teaching day at school contributed to my own growth and education as a person. I sometimes wonder how my life after school would have been if I had been married, before I became a teacher, like so many of my colleagues. Would my domestic pressures have stifled all the joy, wonder and quest that kept me fired and interested as a school teacher ? Perhaps that's what happens to so many of us! Just this morning i was thinking of sujata ma'm! of how she had made an impact on me by being the best art teacher ever. and you had been my most fav science teacher! ma'm you both were my favorite teachers! i too decided to become an art teacher after completing my college at the college of fine arts. i recall you both making your several plans of shopping and that hemkund trip... remember sujata ma'm asking me if wanted to come along! only my parents were too protective...this post has brought back some very vivid memories of you all...i thank the almighty for having blessed me with some of the nicest and greatest teachers ever. lots of love warm wishes and regards! i am still looking for sujata ma'm! :) hope i find her! Ah, that would be heaven - to be off from work at 2pm. Miss those days. If only I have that option now. Would go to museums or spend an hour in a cafe reading a book. Post Graduate Diploma in Management (PGDM) is calculated as an admired course as it offers extensive and in-depth treatment of all the business and management aspects. There are numerous Top PGDM Colleges in Pune.The program is corresponding to MBA course; on the other hand there is a differentiation in the curriculum accessible to students. Hello! This post is amazing, I would like to read further as regards it, because consider to this information is very motivating. Venue-France,From 10th june-10july. 24 teams,10 stadiums. Stay updated. Watch Germany vs Poland Live Streaming. Great article. I really appreciate the hard work you put in it. To know about Galaxy Note 7 Visit my blog.